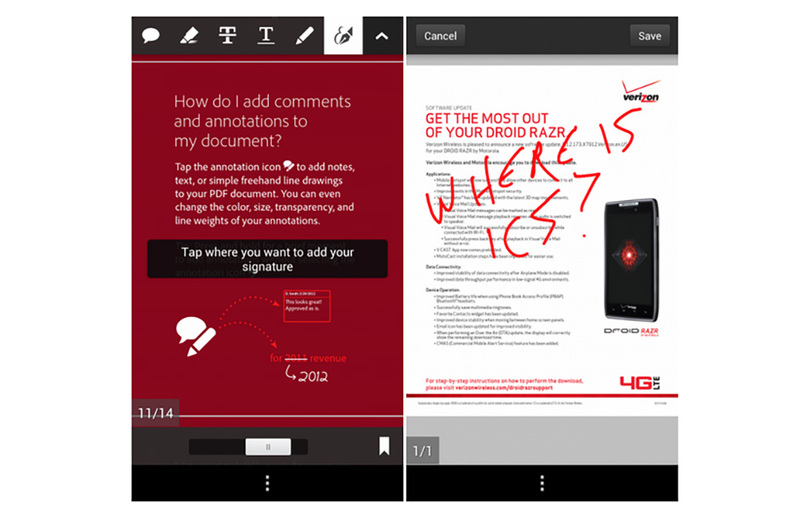 How many times have you received a PDF document that needed a signature, yet all you hand on you was your phone? No way to print, no way to scan once you printed, just a phone with a big beautiful screen. Oh, and you also didn’t feel like shelling out the $4.99 that PDF signature apps run for these days. How nice would it be if the actual Adobe Reader app included a feature like this. Wait, they do? They do! As of today. In the Google Play store, you will find one of the better updates to an Adobe app in a long time. In version 10.2 you can use their ne Ink Signature tool to sign documents, easily mark them up with a freehand tool, add comments or sticky notes, fill out boxes in forms, and send to others for electronic signing using Adobe EchoSign. Nice work, Adobe.